If you’re like me, your first exposure to data visualization was as a consumer. You may have run across a pie chart, or a bar chart, perhaps in a newspaper or a textbook. Thanks to the power of the visual language, you got the message quickly, and moved on. Few of us learned how to create charts from first principles. No one taught us about axes, tick marks, gridlines, or color coding in science or math class. There is a famous book in our field called The Grammar of Graphics, by Leland Wilkinson, but it’s not a For Dummies book. This void is now filled by Alberto Cairo’s soon-to-appear new book, titled How Charts Lie: Getting Smarter about Visual Information. As a long-time fan of Cairo’s work, I was given a preview of the book, and I thoroughly enjoyed it and recommend it as an entry point to our vibrant discipline. 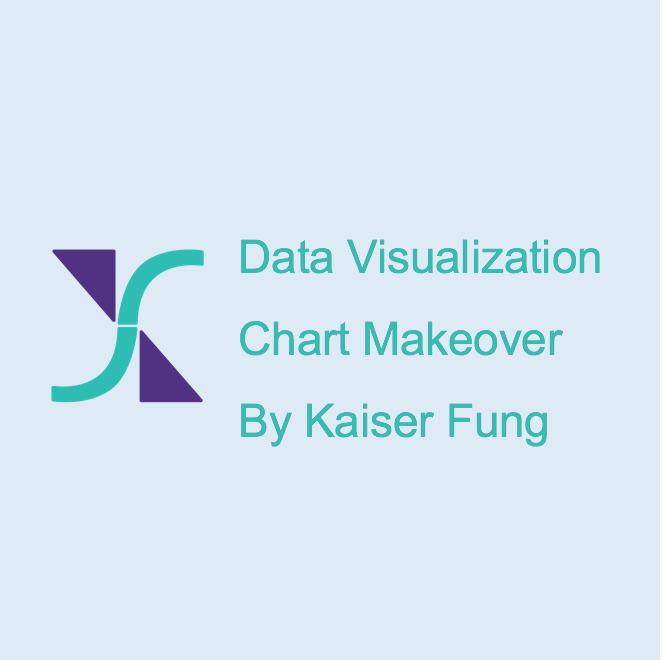 In the first few chapters of the book, Cairo describes how to read a chart. Some may feel that there is not much to it but if you’re here at Junk Charts, you probably agree with Cairo’s goal. Indeed, it is easy to mis-read a chart. It’s also easy to miss the subtle and brilliant design decisions when one doesn’t pay close attention. These early chapters cover all the fundamentals to become a wiser consumer of data graphics. How Charts Lie will open your eyes to how everyone uses visuals to push agendas. The book is an offshoot of a lecture tour Cairo took during the last year or so, which has drawn large crowds. He collected plenty of examples of politicians and others playing fast and loose with their visual designs. After reading this book, you can’t look at charts with a straight face! In the second half of his book, Cairo moves beyond purely visual matters into analytical substance. In particular, I like the example on movie box office from Chapter 4, titled “How Charts Lie by Displaying Insufficient Data”. Visual analytics of box office receipts seems to be a perennial favorite of job-seekers in data-related fields. The movie data is a great demonstration of why one needs to statistically adjust data. Cairo explains why Marvel’s Blank Panther is not the third highest-grossing film of all time in the U.S., as reported in the media. That is because gross receipts should be inflation-adjusted. A ticket worth $15 today cost $5 some time ago. This discussion features a nice-looking graphic, which is a staircase chart showing how much time a #1 movie has stayed in the top position until it is replaced by the next higher grossing film. Cairo’s discussion went further, exploring the number of theaters as a “lurking” variable. For example, Jaws opened in about 400 theaters while Star Wars: The Force Awakens debuted in 10 times as many. A chart showing per-screen inflation-adjusted gross receipts looks much differently from the original chart shown above. Another highlight is Cairo’s analysis of the “cone of uncertainty” chart frequently referenced in anticipation of impending hurricanes in Florida. Cairo and his colleagues have found that “nearly everybody who sees this map reads it wrongly.” The casual reader interprets the “cone” as a sphere of influence, showing which parts of the country will suffer damage from the impending hurricane. In other words, every part of the shaded cone will be impacted to a larger or smaller extent. That isn’t the designer’s intention! The cone embodies uncertainty, showing which parts of the country has what chance of being hit by the impending hurricane. In the aftermath, the hurricane would have traced one specific path, and that path would have run through the cone if the predictive models were accurate. Most of the shaded cone would have escaped damage. Even experienced data analysts are likely to mis-read this chart: as Cairo explained, the cone has a “confidence level” of 68% not 95% which is more conventional. Areas outside the cone still has a chance of being hit. This map clinches the case for why you need to learn how to read charts. And Alberto Cairo, who is a master visual designer himself, is a sure-handed guide for the start of this rewarding journey. Here is Alberto introducing his book.